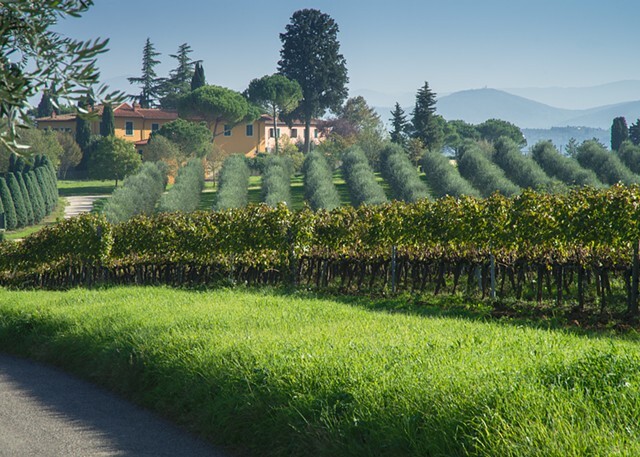 Tuscan farms and houses have lush plantings of olive trees and grapevines, all in neat symmetrical rows. Geometric magic! Even in October everything is lush and green.